It’s hard to believe; but, June is upon us. What does that mean? It means it’s time to prepare for Father’s Day and (believe it or not) Graduation!!! Get ready for life’s special occasions now. Celebrate the graduate in your life with meaningful gifts from Hallmark. Whether graduating from kindergarten or medical school, show how proud you are of their accomplishment. One-of-a-Kind Creations 2014 Frame – Graduation is a day like no other, so remember the momentous occasion with a one-of-a-kind, customizable “2014” die-cut frame. 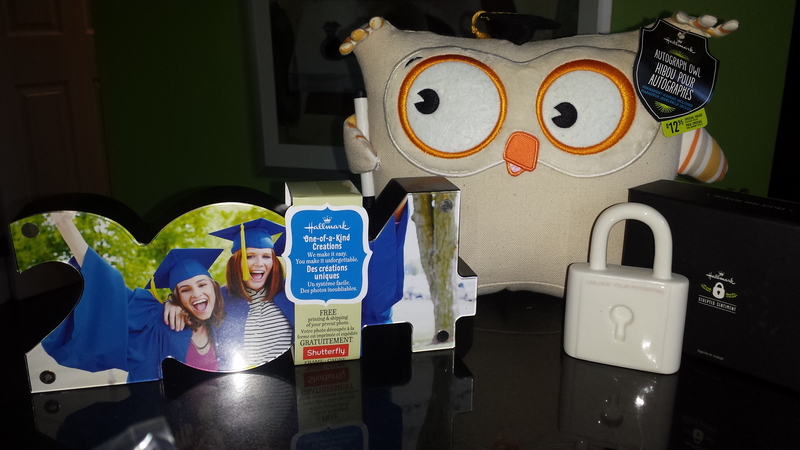 In partnership with Shutterfly, display is as easy as sliding a printout photo into the frame. Autograph Owl with Pen – This fabric owl is the perfect place for family, friends and fellow students to add meaningful messages. Pass it around at a graduation party or open house to let everyone add a signature, well-wishes or a special memory that the grad will love reading well after the festivities are over. Sculpted Sentiments – Commemorate the milestone with a sophisticated white porcelain sculpture of a graduation lock (“Unlock your potential”). Featuring motivating words, these meaningful pieces of décor look great on a bookshelf, desk or bedside table. 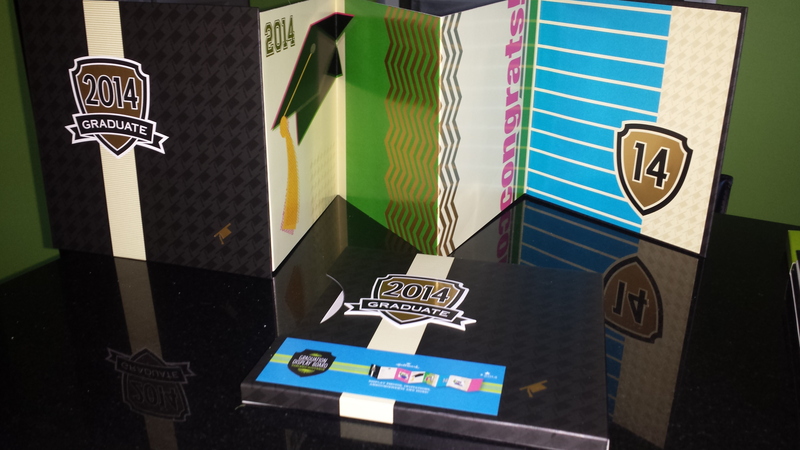 Accordion Display Board Album – Protect the moments that matter most in this ‘2014’ display board album. The perfect addition to a coffee table or study, the album allows you to feature your favourite photos and includes a sticker page for cutomization. 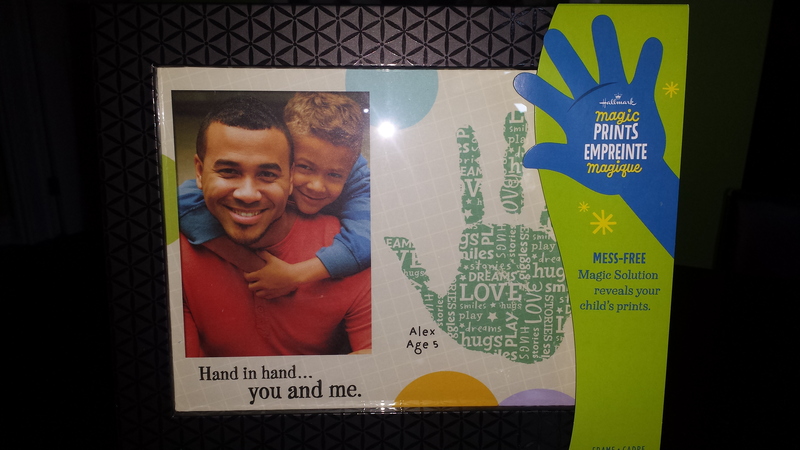 Celebrate the dad, stepdad, granddad, uncle, son or any other special man in your life this Father’s Day with help from Hallmark. Whether he’s into sports, motorcycles, movie memorabilia or books. Hallmark Gold Crown Stores have something for every father-figure this special day. 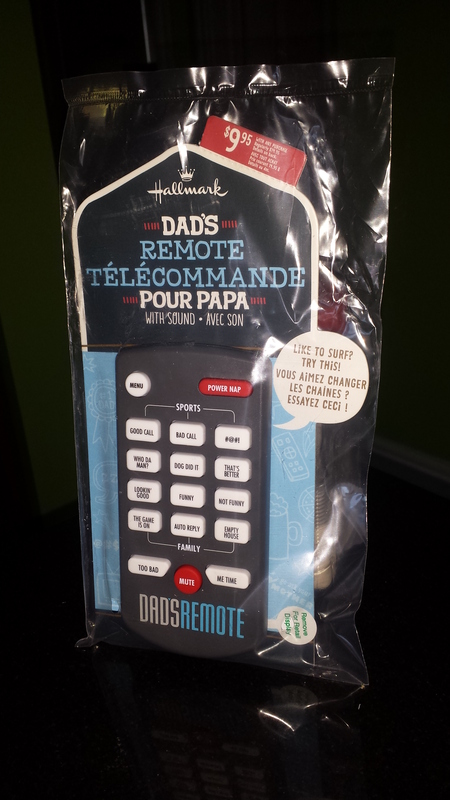 Dad’s Remote Novelty Gift – A gag-gift for the goofy Dad who never gets control of the remote! Dad’s dream-come-true remote control provides commentary that speaks to his love of sports, food and family and is sure to make him laugh. 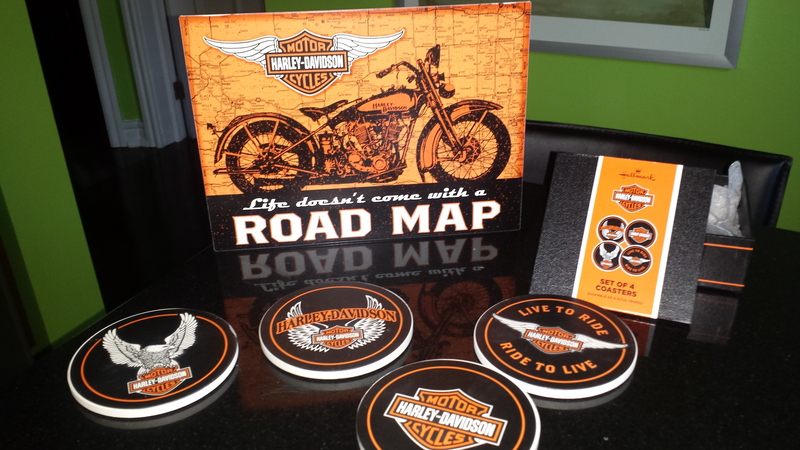 Harley-Davidson® Life Doesn’t Come With a Road Map Tin Sign – Thrill-seekers and motorcycle enthusiasts may need a reminder of the exhilaration of the open road. The perfect addition to an office or man-cave, the “Life Doesn’t Come With a Road Map” tin sign will add excitement, even when you’re stuck indoors. Harley-Davidson® Boxed Coaster Set – Harley-Davidson’s iconic graphics are the ideal companion to a frosty brew at the end of a long day. Coasters come in sets of four and in multiple designs to suit all motorcycle-lovers’ needs. Darth Vader™ Cut-out Desk top sentiment – Darth Vader poses with a cut-out of one of his most iconic phrases, bringing the power of the Force to any desk, shelf or table. 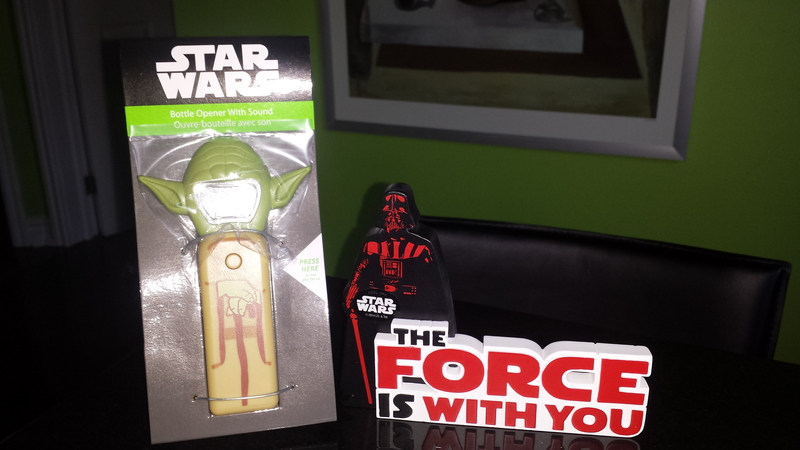 Yoda™ Bottle Opener with Sound – Dad will love cracking open an Imperial Stout, or any other drink of choice, with this Star Wars™ character bottle opener. 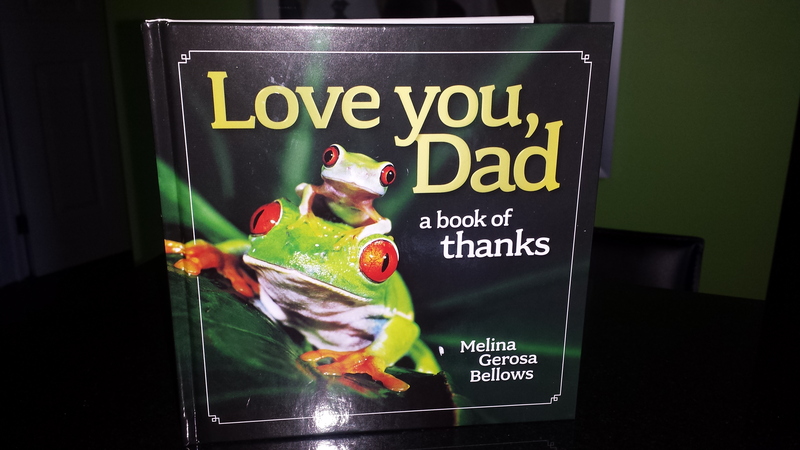 Love You, Dad – A sweet little book that recognizes all the important things fathers do for their children. This simple and moving tribute will touch the hearts of dads everywhere. Illustrated with heart-warming National Geographic photography of animal dads and kids, it’s the perfect gift for celebrating Father’s Day, becoming a new parent or just showing your appreciation. Magic Prints – Create personalized gifts of special memories. The Magic Prints® collection doubles as a fun activity for kids and adults to do together. Use the included mess-free Magic Mitt, Magic Print paper and the clear solution from Crayola® to capture a child’s handprint or footprint. Display the print in the frame alongside a favourite photo for a gift for parents or grandparents. Holds 5″ x 7″ photos and/or Magic Prints. Includes 3 Magic Prints inserts and 2 Magic Mitts. 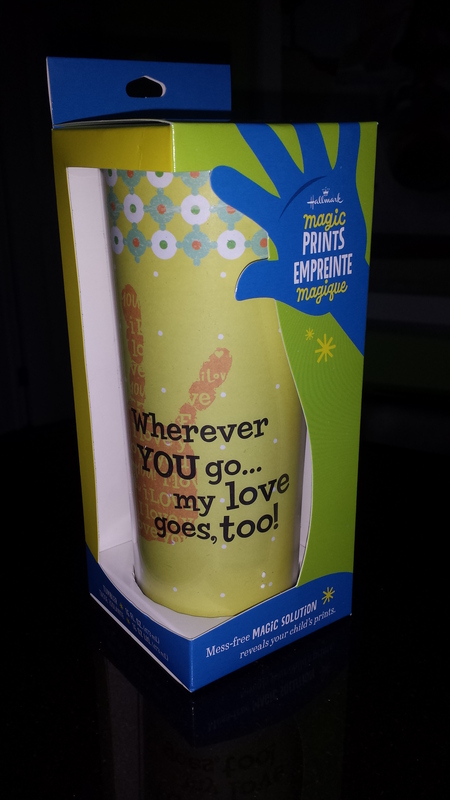 Love Goes Too Hot/Cold Travel Tumbler – Display your favourite print in the travel mug for a totally unique gift for a grown-up. Reveals: I Love You. Includes 2 Magic Prints and 1 Magic Mitt. The Wizard of Oz™ Desk Top Novelty – From the classic movie The Wizard of Oz, Hallmark has a selection of novelty items that’s aimed to inspire the ‘great and powerful’ shopper. It will fit in nicely on a shelf or desk. Now get Shopping!!! ….. and ….. don’t forget to enjoy Summer!